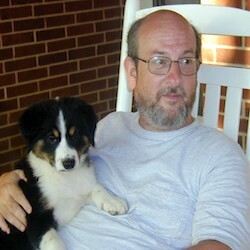 Janny Wurts is one of my favorite authors. Her stories are always interesting and her voice refreshing. Master of Whitestorm was no different. I had been spoiled by the Empire Series, as I consider it to be one of the best SciFi/Fantasy series I’ve ever read, but that aside, Master of Whitestorm delivered a solid read. The protagonist, Korendir, was a solid, if perhaps too typical character. In a sense he was predictable to where you knew what he would do, and yet, he was a strong enough character that you willingly followed him through each trial. What I found lacking in the book was a definitive plot. It was more like a series of tests, sort of like the twelve labors of Hercules, where the protagonist went from one to another with not much in between. It left little room for other characters to develop. And I guess now that I’ve said that, the lack of strong secondary characters might be the biggest ‘lack’ for me. I was so impressed with the secondary characters in Empire that I think I expected them here. 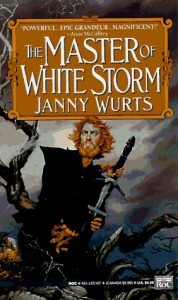 Even so, Master of Whitestorm was a good read. It was entertaining, and there’s not much more you can ask for in a good read.